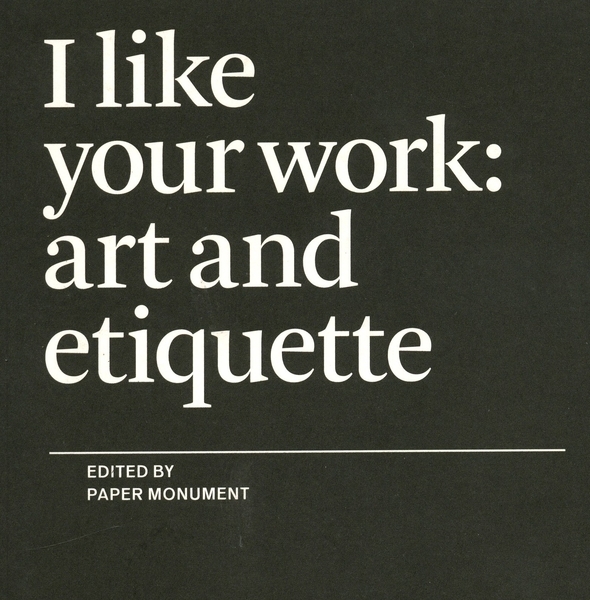 »I like your work: art and etiquette«, with contributions from artists, critics, curators, and dealers on the sometimes serious and sometimes ridiculous topic of manners in the art world. 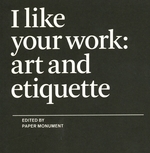 What is the place of etiquette in art? How do social mores establish our communities, mediate our critical discussions, and frame our experience of art? If we were to transcribe these unspoken laws, what would they look like? What happens when the rules are broken?